The Urban Institute for Contemporary Arts (UICA) 2018 ArtPrize exhibition is an expansion of their current public art initiative, the Exit Space Project. The artists participating include; Alan Compo, Nick Nortier, Colby Roanhorse, design collective Evas’ve led by Elyse Flynn, and Kimberly Lavon. The Urban Institute for Contemporary Arts (UICA) 2018 ArtPrize exhibition is an expansion of their current public art initiative, the Exit Space Project. 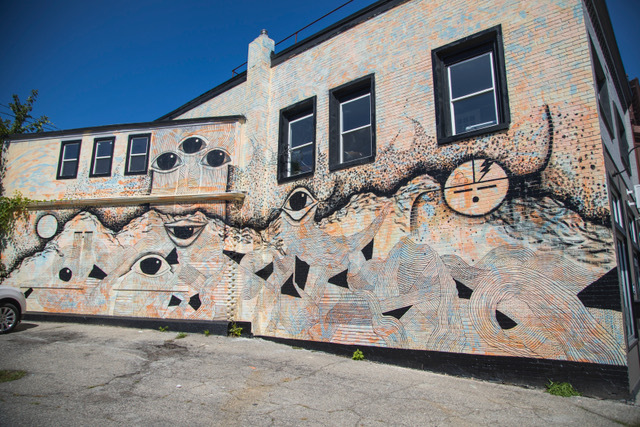 Featuring five mural projects in three Grand Rapids neighborhoods, UICA Outside draws together diverse artists and Grand Rapids stakeholders to create permanent artworks that are energizing and accessible to all. The artists participating in the public art projects include; Alan Compo, Nick Nortier, Colby Roanhorse, the design collective Evas’ve led by Elyse Flynn, and Kimberly Lavon. Public artworks as part of UICA Outside were installed after the completion of a successful crowdfunding campaign to raise money for the projects ended in May 1, 2018. UICA Outside expands UICA’s impact city-wide and connects visitors to the vibrant neighborhoods that surround downtown Grand Rapids. 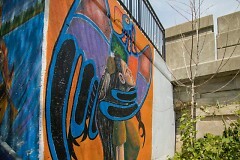 Each neighborhood features one or more large-scale works created by artists who reside and engage within their respective community, or who have designed artworks with neighborhood input and a focus on representation and expression after meetings with neighborhood associations and business owners, as well as community members and local artists. Neighborhoods that will become official ArtPrize venues include Baxter, Creston, and the Westside communities. 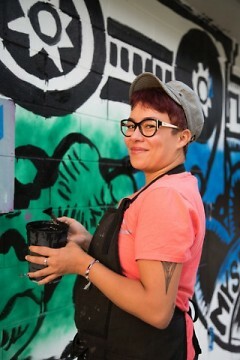 Kimberly LaVon (Vote Code: 6861) has been selected by UICA, the Baxter Neighborhood Association, and community stakeholders to create a large-scale mural at Joe Taylor Park located in the Baxter neighborhood. This vibrant area includes the parts of the Uptown business district, and is home to over 2,500 residents. LaVon’s mural is inspired by community and incorporates symbols such as a radio, light bulbs, and an open book that nod to the Baxter neighborhood’s innovative spirit, while sacred geometry and sugar skulls tell the story of the community’s proud Hispanic history. Local artists Nick Nortier (Vote Code: 68603), Colby Roanhorse (Vote Code: 68605), and the design collective Evas've (Vote Code: 68614) were selected to install large-scale murals at separate locations within the Creston neighborhood. Creston stretches the distance from Leonard Street to Four Mile Road and is the largest neighborhood in the city by population. Nortier will create a large-scale work at Creston Market inspired by migration. 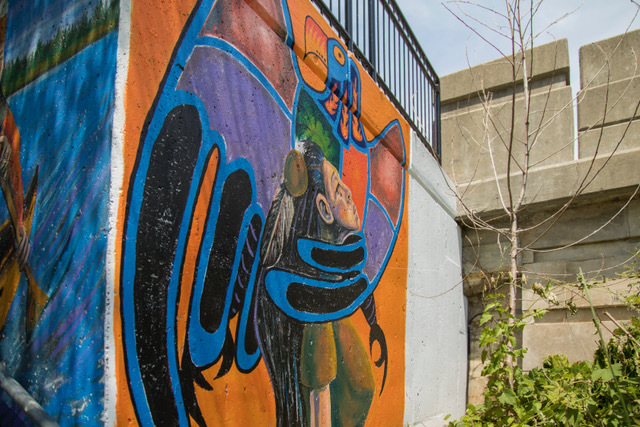 Utilizing birds as symbolism and vibrant colors, Nortier’s mural encourages viewers to consider their neighbors, our communities, and the places we call home. Roanhorse, inspired by his Diné heritage, will create an abstract mural located at Childress & Associates that honors his ancestors -- the Navajo peoples -- and celebrates his indigenous identity and his place in contemporary society. The design collective Evas’ve, made up of members Elyse Flynn (project lead), Rebecca Rapin, Alex Barger, Haylie Bos, and Kacie Forbes, will create a mural inspired by the neighborhood’s furniture manufacturing history at Stonesthrow. Inspired by contemporary design elements and the furniture store that currently resides there, Evas’ve’s mural is comprised of an arrangement of patterns, inspired primarily by textiles, textures and process. "Expanding beyond the gallery walls and out into the community is an approach that has worked well for UICA," said Kevin Buist, ArtPrize Artistic Director. "In 2017, they worked with Seitu Jones and his Juried Grand Prize-winning Heartside Community Meal, which brought 250 local community members together around one table. We're thrilled to see UICA Outside continue this tradition at ArtPrize 10." UICA is recognized for its cutting edge contemporary art exhibitions year-round and as one of the premier venues during ArtPrize. Past successes include ArtPrize Best Venue Award nominations and hosting both Public and Juried Award Category finalists and winners. The Heartside Community Meal by Seitu Jones, UICA’s 2017 off-site ArtPrize entry, was awarded the $200,000 Juried Grand Prize Award in 2017. The galleries and theater at UICA will remain open during ArtPrize official dates (Sep 19 – Oct 7, 2018), and regular admission rates will apply. Guests of the galleries will enjoy UICA’s popular Coming Home exhibition series featuring works by Pat Perry (National Lilypond Songs, New Paintings by Pat Perry), Emily Najera, Jason Quigno, and Zachary Trebellas, as well as the Michigan Emerging Graduate Artists (MEGA) exhibition in collaboration with the MFA Collective, a student organization at Kendall College of Art and Design of Ferris State University. The theater will continue to provide the best in independent films and cinematic programming. Details about UICA Outside and current and upcoming exhibitions, films, and programming can be found at uica.org.